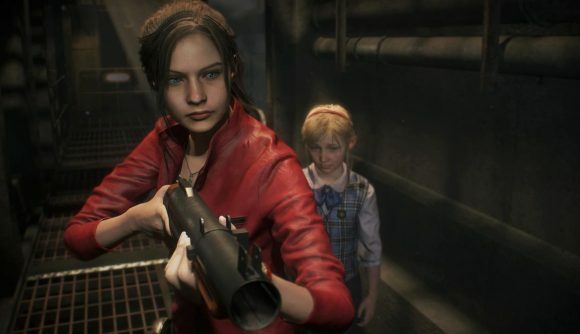 January 29, 2019 Resident Evil 2 continued its early success, and is on track to meet its sales goals. Resident Evil 2 had an impressive launch, becoming Capcom’s second best-selling Steam launch ever. Overnight, the horror title shot to a concurrent player count of more than 55,000, but that early success seems to have continued. In a press release issued earlier today, Capcom announced that in its first week of sales, Resident Evil 2 shipped three million units worldwide across all platforms. That puts it a little behind Resident Evil 7, which sold 3.5 million copies during its launch week in January 2017, although whether it will out-last the sales success of its younger brother remains to be seen. Resi 7 went on to sell six million units, a figure which Capcom hopes it will be able to replicate with the Resident Evil 2 remake – the company says that it “looks to achieve similar, long-term sales” for the new release. The original version of the game, which released in 1998, sold a little under five million copies. According to Steam’s own game stats, Resident Evil 2 reached a concurrent player peak of 55,164, making it the ninth most-played game on the platform last night, just behind Team Fortress 2 (which is somehow still pulling in the best part of 60,000 players ten years after its release). In Capcom terms, it still sits behind the enormously successful launch of Monster Hunter: World, which peaked at 329,000 players last year and was still boasting more than 50,000 overnight. Compared to other entries in the Resident Evil series, it’s a huge success, more than tripling the figures achieved by Resident Evil 7 in 2017. Those numbers are backed up by a very impressive game. Chris’ take on the game’s gore in his Resident Evil 2 PC review was extremely on-brand, and our Resident Evil 2 scores round-up suggests his enthusiasm was shared by plenty of other critics.